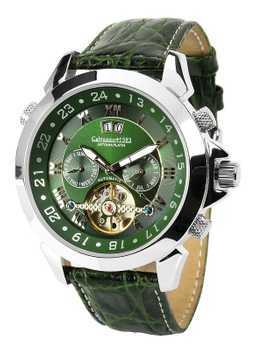 Calvaneo 1583 Astonia Platin "Britannic"
Rhodium (Platinum-) automatic dual timer with open heart, calendars and BigDate. 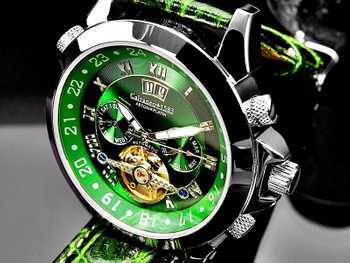 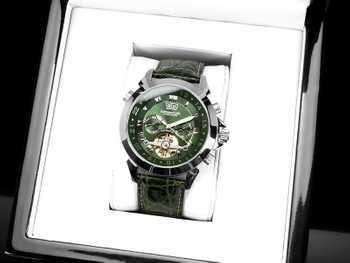 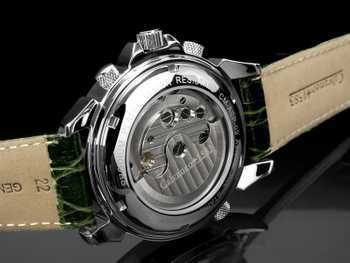 Here you will find exclusive and latest 2010 version of the model "Britannic" in elegant green "British style". Again just simply a class apart.